The Gemballa Avalanche is a 800+Hp Porsche 911 On Steroids. Both models will be based on the 991 Turbo platform and the one we are most excited about is obviously the more powerful of the two, the Avalanche. According to the Gemballa website, the Avalanche will have approximately 809hp (820 PS) and an impressive 700lb-ft of torque. That’s a significant jump from the 540hp and 523lb-ft of torque found in a stock 911 Turbo. I don’t know about you, but with that much power, it’s got me curious as to what “records” the Gemballa CEO is referring to breaking. Back in the 90s, one of the Gemballa models held the production record at the Nurburgring, and again for a brief period of time in 2001. 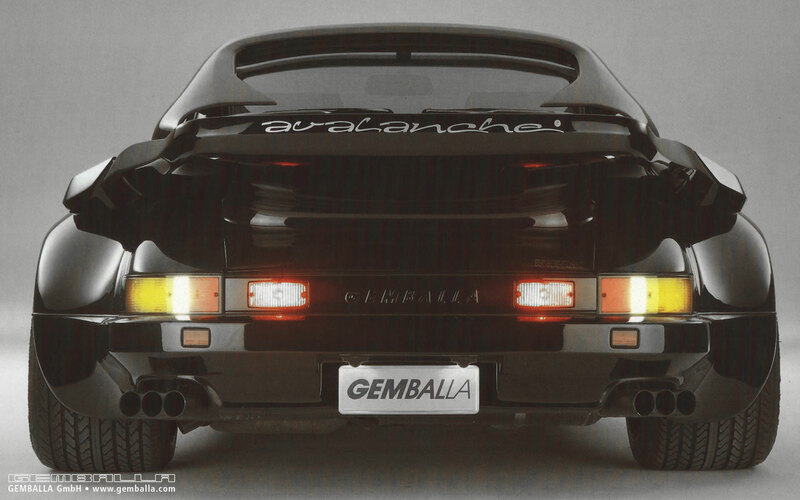 Even though Gemballa only released two pictures you can clearly see that they added their own twist to the exterior of the car. 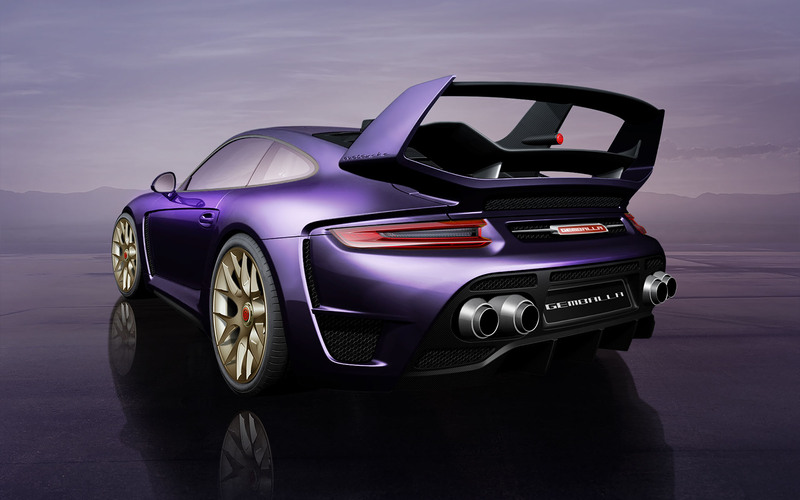 In true Gemballa fashion, it appears to be fitted with a full body kit and a massive rear spoiler. If you look closely you can see its actually a three tier spoiler and while that might seem a little over the top, I’m willing to bet it’s a functional part of the aerodynamics of the car. As you can tell, Gemballa doesn’t just focus on the performance or cosmetics of a vehicle. They like to make changes to just about everything. They specialize on upgrading Porsches but have also created one-offs of many others brands like Ferrari, Mercedes-Benz, McLaren and many others. The first generation of the Avalanche was debuted back in 1985 based on the 930 platform. 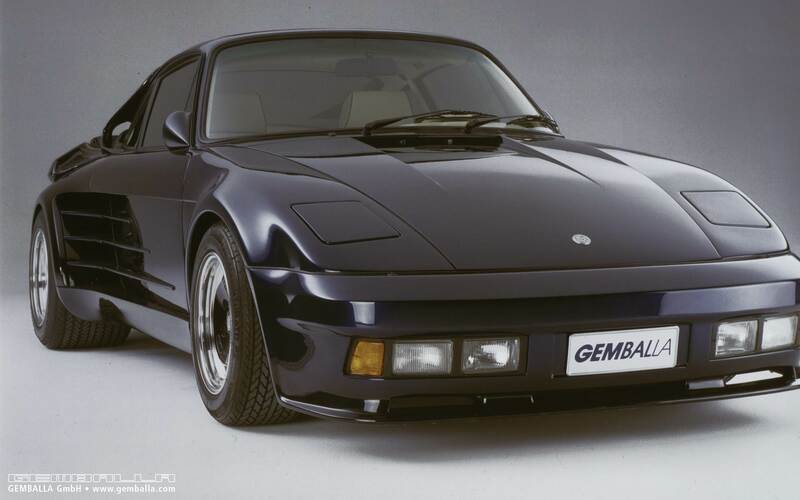 It was the first complete car Gemballa created and according to diehard 911 enthusiasts, it was spectacular. It featured a 3.4L turbocharged engine that was provided by fellow Porsche tuner, RUF, and produced a total of 375hp (75hp more than stock). With Geneva just a few short weeks away it won’t be long until we know the full details on the Avalanche and what records Gemballa plans on breaking with it. One thing we know for sure is that with the donor car being a 911 Turbo, but with over 800hp, this thing is going to be fast, really fast.